ARLINGTON - Great, now the Dallas Cowboys play in a stadium that's home to both Ma Bell and Papa John. Couple of surprises from today's expected announcement in Arlington. 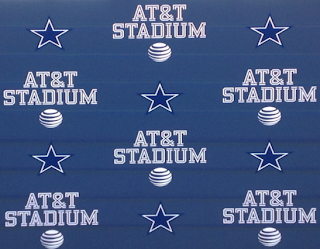 First and foremost, Cowboys Stadium is now AT&T Stadium. Whoa. I was betting on AT&T Cowboys Stadium, and I'm also betting a lot of football faithful are going to have a problem with their team's name being redacted from their own stadium. Joked owner Jerry Jones about "Cowboys" no longer being in the title, "I'm more worried that 'Jerry's World' is gonna be forgotten." I get that the $1.2 billion stadium will host major events outside the NFL like, for example, the inaugural college football national championship game in January 2015. But still, to hear Jerry succumb to anything other than promoting his team is weird, if not a little disturbing. "This place goes beyond Cowboys' games," Jerry said. Though initially jarring, I'm sure Cowboys fans will learn to deal with a corporate sponsor for the first time in the team's 53-year history and the lack of "Cowboys." After all, the franchise won five Super Bowls playing in stadiums - Cotton Bowl and Texas Stadium - without the nickname attached to the structures. As I wrote Monday, the name change begins immediately and in time for the 2013 NFL season. Alongside Jones on the podium were AT&T officials, who promised that part of the deal would be a doubling of the stadium's wi-fi capacity. Other changes/developments: Legends Way that runs alongside the east of the stadium will be re-named AT&T Way, and the City of Arlington will get 5% of the naming rights moolah. Details of the deal weren't disclosed at the press conference, but I'm told the annual check to Jones will be just under $20 million. That might, in turn, help pay for the team's new headquarters in Frisco. Jones did admit, however, that the deal wasn't the richest in sports for naming rights, which comes as another surprise. 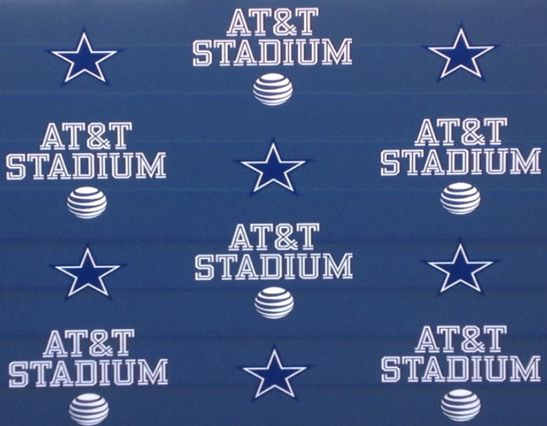 The marriage of America's Team and America's Telecom will only push the prominence of the stadium. And, according to Jones, the goal is unfathomably high. Boasted Jerry, "I'd like this stadium to be more familiar than The White House." We're assuming he means the one the President hangs out in, not the one in Valley Ranch where in the '90s Cowboys' players entertained "hired help." For now, can we just call it the world's biggest phone booth? Maybe you should read the story more carefully... or at least scroll down past the first few paragraphs. Really surprised that the money generated from naming rights didn't top the amount of the Jets/Giants stadium or the new 49ers stadium. Especially when considering Cowboys Stadium is the host to an abundant number of major events and not just football games. It will always be the Death Star to me. Death Star is so appropriate! I like how AT&T talks about doubling the wi-fi capacity. I guess that's to accommodate everyone who wants to instagram pictures of whatever they are eating and whatever else to distract them from having to watch the Cowboys. How about upgrading that weak sound system, too? Embarrassing noise (from speakers & fans) for such a grand looking stadium!